Summer is upon us and grilling season is in full swing. 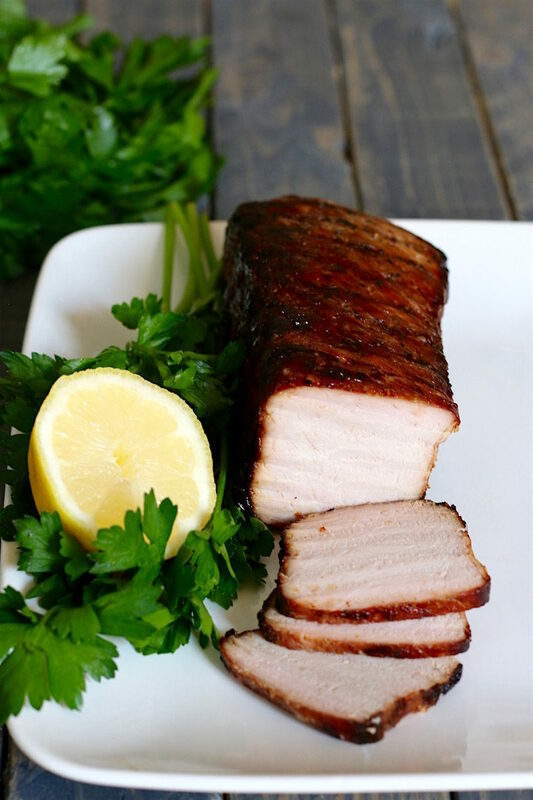 Miso Marinated Pork is a flavorful and easy to prepare main dish. Marinading pork loin in miso and mirin prior to grilling will help keep the meat juicy. Dried pork is no bueno. Pork is such a great neutral meat that does a great job taking on the flavor of the marinade. Ladies and gents lets fire up those grills and get summer started! I cook on charcoal so this method is how I cooked my pork on my charcoal grill. If you use gas I am sure the method of direct/indirect heat is similar but cooking times and temps might be different. A quick rundown of direct v indirect. Direct means directly over the coals. Get a good sizzle on that meat! Indirect means off the hot coals and just letting the heat inside the grill do the cooking. We will use both methods to cook this pork and make sure it stays nice a juicy. White miso and mirin are both slightly on the sweet side which plays well with the grilled pork. When it hits the grill the sugar caramelizes and gives the pork a nice char. Mmmm! If the phrase sweet and pork freak out you don’t worry most barbecue sauces have something sweet in them (sugar, honey, maple syrup, etc) so it is a combo you are probably already familiar with. WHAT THE HECK IS MISO?! Miso is a fermented soybean paste. You can find it in stores like Whole Foods or order it from Amazon. WHAT THE HECK IS MIRIN?! Mirin is a Japanese rice wine used for cooking. You can find it in the Asian section of most grocery stores or order it from Amazon. I bought an unseasoned pork loin fillet from the store, popped it into a zip-top bag, massaged the miso and mirin into the meat, and let it hang in the fridge for half a day. Once grilled you will need to let the pork rest. This rest time allows you to mix up a cocktail, throw together a side dish, but most importantly it allows all the juices to redistribute and keep the meat from drying out. If you cut into a hot off the grill pork loin all those juices will run out and you will be left with a dry and chewy piece of meat. Remember dried pork is no bueno! This is a quick and easy dinner that is perfect hot of the grill -after the rest time of course or good cold on a sandwich the next day. Put this on your dinner line-up ASAP! In a zip top bag add the miso, mirin, and pork. Massage the marinade into the pork. YUM! This sounds absolutely delicious! 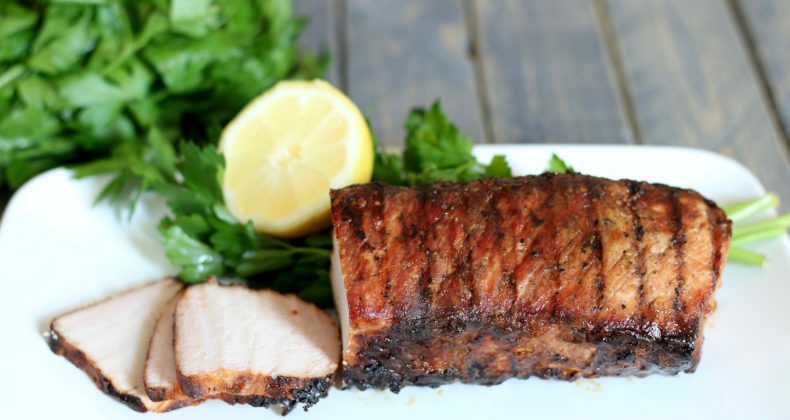 Grilled pork is one of my faves and I totally am going to try this awesome flavor combination.